Focused on the peaceful side of medieval life, ‘Sergeant Chipmunk’ depicts in one scene the complete construction of Hailstone Point, a unique tower sculpted entirely from frozen blocks. 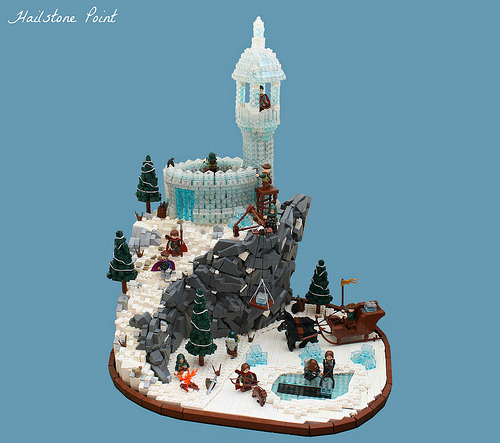 Surveying the land, extracting the ice, transporting the bricks, and carving the castle–all eloquently done in one beautiful motion. Truly, Castle has never seen this before.